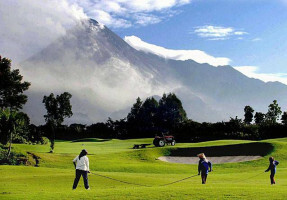 Why play golf under a volcano at Merapi Golf Resort? Mark Twain famously described golf as “the best way to spoil a good walk” but I can think of a better way... walking in the presence of an active volcano! In all seriousness, Mount Merapi is a very safe 10km away so there’s no chance of you firing a hole-in-one directly into the volcano’s caldera… unless you’re really, really good at golf. Stunningly well designed by Thomson, Wolveridge & Perrett, this 18 hole, 72 par course sits 800 meters above sea level on an almost Alpine landscape that blends Java’s challenging hills with ancient volcanic rocks. Not many courses can boast they took millions of years to create but this is one of them! What else makes this such a special course? Apart from this probably being your only chance to ever play 18 holes in the proximity of a volcano? Tough crowd! 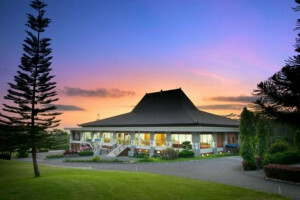 Merapi Golf Resort is open to the public all year round, and with prices to please the most frugal of wallets. Its ideal location means it's just a half hour drive from the ancient city of Yogyakarta, and a stone’s throw from UNESCO World Heritage site, Borobudur, which is well worth a visit too. 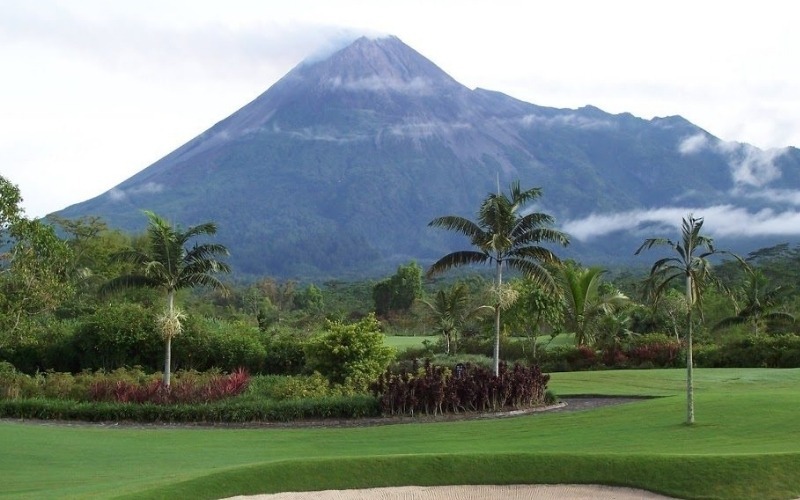 With the perfect climate and natural beauty of Indonesia providing breathtaking panoramic views of Gunung Merapi, this course takes golf to the next level. In the unlikely event you do die in a twelve hundred degree, two hundred mile an hour pyroclastic cloud of noxious gas, ash and sulphur, we’ll give you your money back! Did we mention the volcano?